A stunning new lift-flap format of a beloved classic. 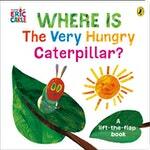 Love Where Is The Very Hungry Caterpillar?? Subscribe to Read More to find out about similar books.